A 31-year-old Pakistani man went on trial Wednesday in Berlin on allegations he operated as a spy for Iran in Europe. BERLIN: A 31-year-old Pakistani man went on trial Wednesday in Berlin on allegations he operated as a spy for Iran in Europe, collecting information on possible Israeli and Jewish targets for attack in Germany and France. Haider Syed Mustafa is accused of having collected extensive information for an elite unit of Iran's Revolutionary Guard on Reinhold Robbe, the former head of the German-Israeli Association in Berlin, and Daniel Rouach, a French-Israeli professor from the Ecole Superieure de Commerce de Paris university. No pleas are entered in the German system and Mustafa refused to make a statement as the trial opened. According to prosecutors, Mustafa collected large amounts of information including photos and video of the two men, and details of their workplaces, homes, families and acquaintances as well as the neighborhoods and public transportation they frequented. He then allegedly sent the information to a contact called "Mahmud" who passed it on to the Iranian Quds Force unit. 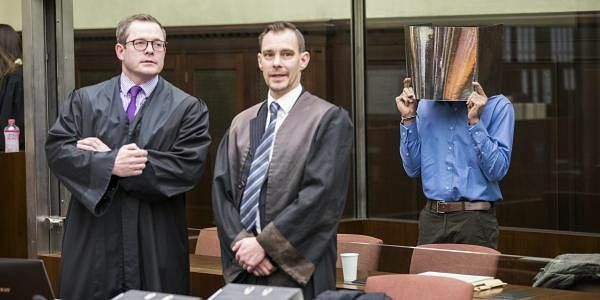 Prosecutor Michael Greven told the Berlin state court that Mustafa, who came to Germany in 2012 to study for an engineering degree at the University of Bremen, collected the information on Robbe and Rouach between July 2015 and July 2016 on trips to both Berlin and Paris. He spent several days in both cities and "apparently clandestinely" shot more than 900 photos and dozens of videos with a digital camera and with his iPhone. Separately, he also collected information on the Jewish newspaper Juedische Allgemeine in Berlin. "The al Quds unit has its own agents ... and it considers Israel its arch enemy," Greven said as he read out the indictment. There was no indication how far along the Iranians were in the alleged planning when Mustafa was arrested in Germany in July 2016. No attacks were carried out. Among the reports Mustafa provided were power point presentations highlighting the individuals' security situations, with details of surveillance cameras, security personnel and police details, prosecutors said. Greven said Mustafa received at least 2,052 euros ($2,170) for his spying activities. He also traveled to Pakistan in October 2015 and February 2016 and from there allegedly continued his travels to Iran where he very likely met with his contact Mahmud, Greven said. Mustafa faces a possible five years in prison if convicted. The trial is scheduled to resume Monday and the court has scheduled eight days of hearings.